Google Calendars can manage all your meeting schedules, but not your meeting etiquette. 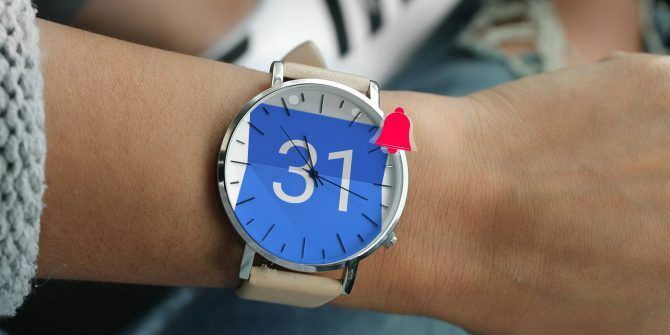 However, Google Calendar can help you out, at least in a little way, when you share a calendar with your team: let your team members know if you will be late for a meeting. Send them a message on your status. Google Calendar piggybacks on Gmail for the back-and-forth messages of your status. These simple steps will show you how to keep everyone who sees the Google Calendar in the loop. Note: The screens show the new Google Calendar 5 New Google Calendar Features You Have to Try! 5 New Google Calendar Features You Have to Try! Google Calendar just got more fantastic. Google finally updated its calendar. We'll show you how to get the new design and which new features you must try. Read More which has been updated with material design. You can respond (RSVP) from the email invite or the meeting slot in the Google Calendar. You can also respond to the invitation by clicking the RSVP icon next to the email invite. The Google Calendar opens with your event slot displayed. Click the Email guests icon and write your message to let your team members or the organizer know your status. The organizer can check attendance by opening the event in the calendar or in Gmail. In Google Calendar, click the event in your calendar grid. Click on the pencil icon for Edit. You will see an option to send a note on the right side in the Guests column. To create a note click Add Note/Guests. Add your note and inform everyone. Open your Google Calendar app. Go to Settings > General > Quick responses. Touch one of the current responses to edit or replace the text. To send a Quick response, open the Calendar app and then the event. Select Email guests. Choose one of your quick responses, or write a customized message. The new Google Calendar is a lot about looks and functionality. How do you use the calendar to communicate on an event? Explore more about: Google Calendar, Meetings. Yes, My job duties require regular scrubbing of long, complex reports or documents.